RUSH: This is Nathan. Nathan’s in Sacramento, my adopted hometown. How are things with you, Nathan? CALLER: Oh, they’re great. It’s an honor to speak you. It really is. CALLER: I’ve been listening to you for a very long time, and it’s the first time I’ve ever even attempted to call in. But the fact that you took my call is just — you made my day. RUSH: Thank you, sir, very much. I’m glad you made it through. RUSH: Wait a minute. Now, wait. There’s a lot here in your question to deal with. Let’s deal with the last thing you said, the Russians are saying the attack never happened. Well, if Washington is to be consistent, then we have to assume the attack did happen, because the Russians have become our dire enemy. They tried to steal our election, and they may have succeeded, working with Trump. So now if they are saying the attack didn’t happen, then that is obviously somehow supposed to benefit Trump. But we’re supposed to not believe it. If they were being consistent. Here’s the question I have about this, Nathan. CALLER: Dropping leaflets days ahead of time. RUSH: Yeah. But the point is, he was vehemently opposed to it and called it stupid. He said it’s the kind of stupid stuff Washington’s been doing that needed him to fix. And yet what did he do? He went on TV last week in a rogue announcement, supposedly none of his staff knew he was gonna say it, that we’re gonna be getting out of Syria real soon. It’s gonna happen real soon, a couple days, can’t tell you, but it’s gonna be the greatest exit you’ve ever seen, we’re gonna get out of there, nobody’s gotten out of anywhere better than we’re getting out of Syria, something like that. Then this happens. RUSH: No. I’m asking you, did Trump screw up? Did he violate his own policy by going off message in one of these little quick in-and-out TV appearances. Obviously you think somehow Trump is getting snookered here? 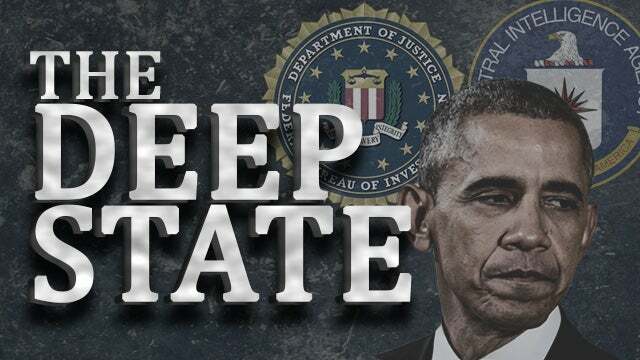 RUSH: Either one works, dark state, deep state, depends on the sun’s up or down. CALLER: The forces working against them are like, “Oh, yeah? You want to pull the troops out, well, then we’ll stage a chemical attack so you can’t. And it would be completely — I think he wanted to see what would happen. That’s truly what I believe. And I just kind of wanted your take. If that’s reaching, maybe it is, but I see Trump, after so far watching everything and all his moves, he’s extremely intelligent, extremely methodical. And I don’t think that these people have a clue to the level that he sees things. RUSH: I just want to make sure that I’ve understood what you’re saying. You think that Trump actually conducted a test here by announcing we’re gonna get out of Syria pretty soon, he wanted to see what would happen? RUSH: And what happened was a gas attack, a nerve gas attack, a chemical weapons attack by the Syrians, he wanted to find out why, what was the benefit. Trump was studying who in this scheme? CALLER: Well, ’cause I think that we need — certain powers want our troops there and in that region for whatever reason they want them there. RUSH: No, no. It’s my hearing. I’m not getting every word you — so you think Trump announces we’re getting out and then some saboteurs saw to it there was a gas attack so that we can’t get out? RUSH: Okay. All right. Well, look. Let me just play devil’s advocate, even though there is no hell anymore and there is no devil, I still want to play devil’s advocate. RUSH: If Trump’s so smart and is, you know, five steps ahead of everybody on the chessboard, how did he get suckered by this? He announces we’re getting out and then somebody launches a nerve attack making sure we can’t get out, isn’t that Trump kind of getting tricked? RUSH: — are from Iraq. They were moved there before we went into Iraq. They were never taken out of Syria. The Russians never got ’em out of there. They’ve always been there. There is one other aspect of this. The last time this happened — I hope you’ll remember — I tried to make the case that I didn’t understand why Bashar al-Assad would be gassing his own people. I held out that there was a possibility it was actually ISIS doing this disguised and dressed up, so to speak, as Assad’s army because it makes no sense for Assad to gas his own people, given how much attention’s being placed on Syria, how many people are watching it, it would be absolutely foolish to gas your own people here, which Assad — years ago now — was accused of doing, and it didn’t make any sense to me. Now, this, clearly there are still chemical weapons there. If Obama thought they were all gone, somebody lied to Obama and he believed, if Obama knew they were there and told us, along with John Kerry and Susan Rice, that they were gone, then it was Obama and his team lying to everybody telling us how smart and tough they were. But are you of the mind that this thing didn’t even really happen? This is total fake news with fake video, kind of like Wag the Dog stuff? CALLER: I don’t know if it happened or didn’t happen. What catches me off is — and I would have never put two and two together if I hadn’t listened to you for so long. CALLER: Is that every time we’re gonna do something, when the powers against what’s going on don’t like it, something happens, whether it’s a school shooting or a chemical attack. RUSH: Look, I appreciate that, and I respect it. Two plus two will always equal four on this program, and that’s not true of most places.